ThinkHammer: How can you use Pinterest to build a business? How can you use Pinterest to build a business? ps: I met Cynthia Sanchez at Tech After Five in Charleston. When I think of the benefit of showing up at a place just to discover someone new, I think of our chance encounter. She is a cool cat doing cool things and from her I learned about a social media platform I didn't even know how to ask the questions about. 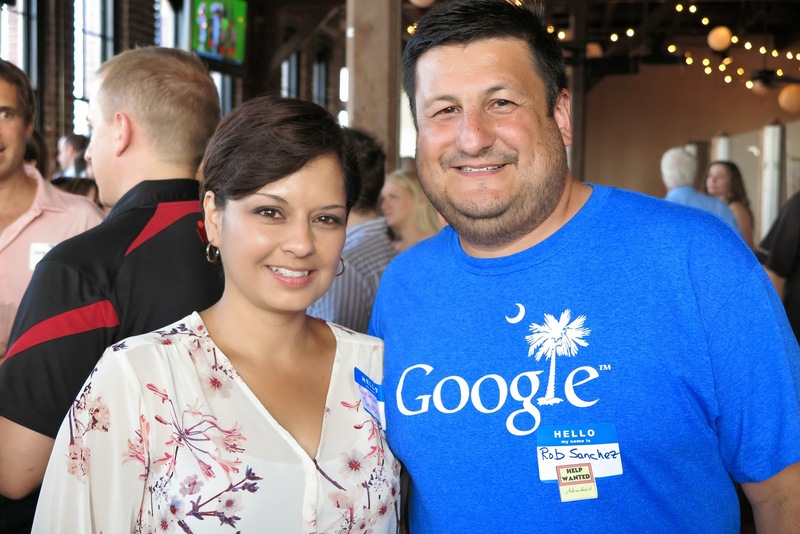 Cynthia Sanchez (OhSoPinteresting) and her husband Rob at Tech After Five in Charleston, SC.